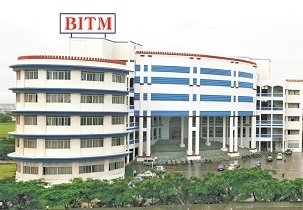 Balaji Institute of Telecom and Management Fees Structure. PGDM Rs 6,40,000 /- for 2 Years. Only Engineers with specialization in Electronics, Electronics and Telecommunications/ Telecommunications/ Computer Science/ Information Technology/ Instrumentation/ Electrical are eligible for admission to this course. 73 Overall Ranking in India & 52 Top Private B-School in IndiaBy THE WEEK-Hansa Research Best College Survey-2015.